There’s something about our culture, comparison is everywhere. As a new mom, immediately you’re told that your child is in a percentage range to compare them to other children. There are lists upon lists to tell you when your child should do all of their firsts, get teeth, eat, sleep, move out of the house, etc. These list classify ranges of “normal”. But what happens when your child doesn’t follow these lists? I sit here wondering and struggling. Because it’s my kid who hasn’t met milestones on time. His older brother rolled at 3 months but didn’t walk until 14 months; then had 8 teeth before he was 8 months old. My human nature is to compare him to his older brother and then to other kids his age. So here we are at 18 months, he will take a few steps on his own but that’s it. And at this point, I’m struggling. Why am I struggling? Because the reel of things in my head is driving me insane…. Over and over these questions roll through my head. Tears roll down my face and I’m at a loss. I know that he is a perfect little bundle of love. I know that he is a wonderful gift from God. But all of those truths don’t make it easier to hear things like evaluation and therapy. So I decided to just call about having him evaluated. The paperwork was more stressful than actually going through the evaluation. Props to Early Steps because they are fantastic. The results…he’s behind in gross motor skills, but above average in the other categories meaning he doesn’t come close to qualifying for therapy. Luckily the lady that evaluated him is also a physical therapist and she gave us some directions on how we can encourage and help him at home. We can tell a difference but we thought we’d see more progress by now. I am a mom fighting that comparison reel everyday. Each and every single day. My friends’ kids are running around and most of them are younger. I love seeing them but I sometimes have to check myself before I compare. It’s hard. So here’s how I’m dealing with it. Support // Obviously this stuff can drive you crazy. There’s a few ways to handle that part and without a support system I’d be focused way too much on this. 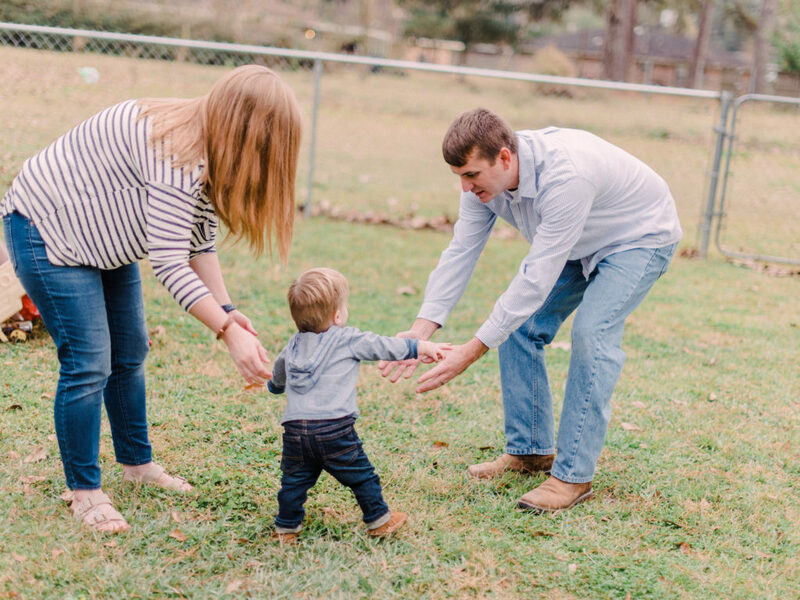 My husband is great at being encouraging about it, helping to do exercises, and reminding me that one day he will walk. Friends are nice voices of reason when I’m about to have a breakdown about it. And that precious little big brother is the most encouraging and always excited to celebrate even the smallest progress. Truths // It’s so easy to let the lies and the comparison into your head. But focusing on the truths that he has been perfectly made, he’s wonderful, and that no matter what there’s a giant plan for him is more important that focusing on how weak my arms seem to get each day. Determination // This can get out of hand, but you have to be determined to do what your child needs. Some thought I was silly for having him evaluated, but it gave us some confidence in what we were already doing, how to continue helping him progress, and some reassurances that he really is wonderful. We were advocating for him and his needs along with ours as his parents. 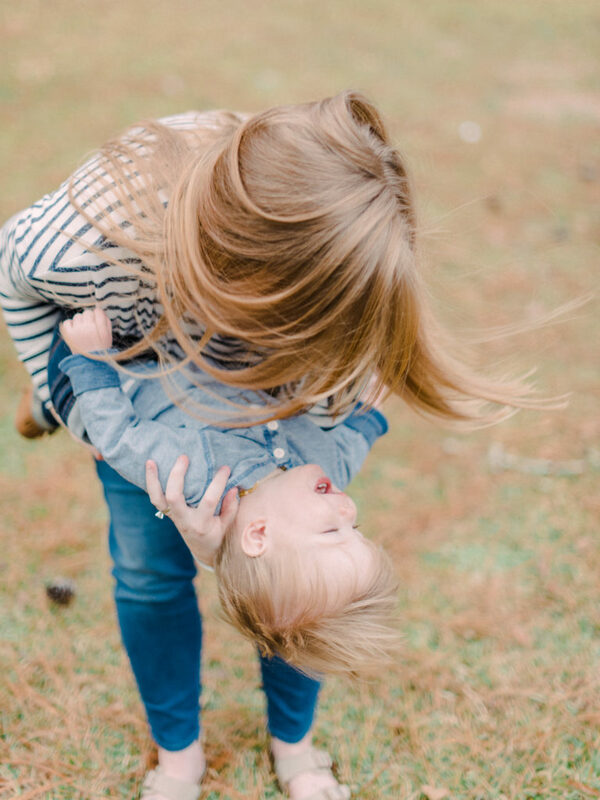 Grace & Patience // I mean these two virtues are some of the hardest during motherhood. But they are the ones we need to give most days. I truly don’t think that this is going to be a lifelong battle so I have to have patience with him. I know he’s a growing boy and he’s heavy so I have to give myself some grace when my arms get tired. I cannot feel guilty about feeling weak or get frustrated with myself or with him. Just Keep Trying // We’re going to keep up the work and give him some room to grow and some to fail. That’s part of parenting, right? Prayer // I think it’s probably obvious that at this point I’m literally living on a prayer. The kid who will do almost anything for a “snack” or “bite” won’t walk for it. It’s out of my hands, I can only do my part. Surrender // Probably the hardest thing for me to do in life. Throw my hands up and give in? This is soooo not my character. I like to dig in and get through things. The waiting and the treading water honestly just gives me anxiety. But I know this is in God’s hands and I have to surrender the whole situation. 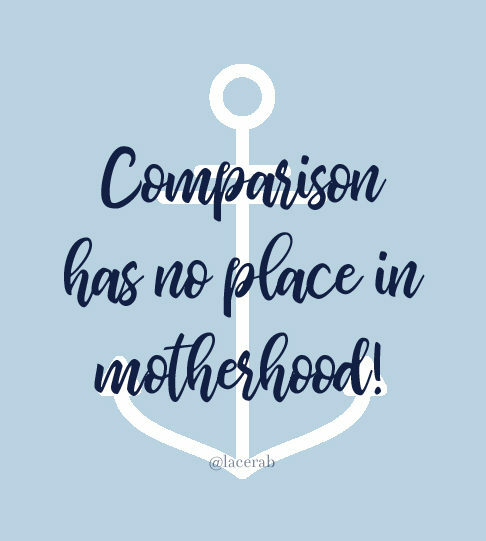 Comparison has no place in motherhood. Seriously! We need to stop comparing ourselves and our children. There’s so many insecurities and lies that come up and creep in because of comparison. Yes, it’s the thief of joy but also the thief of sanity, confidence, trust, faith, and all the good things. I refuse to let comparison ruin any day or moment with this little one. I carried him inside me for nine months and at 18 months old I’m still carrying him. I know that I’ll one day be sad when he doesn’t want me to pick him up or he’s way too grown for me to do it, so I’ll remind myself each and every time he says up that I should enjoy it. Such a good post! Our daughter has been “behind” on every milestone, but once I stopped the comparison game, we all relaxed! i agree wholeheartedly. as moms we tend to make so many comparisons. we compare ourselves to others, and our children to each other. it’s just a fact that everyone has different thoughts, needs, lifestyles, developmental strengths, and struggles. it’s impossible to make comparisons when we are all different, and therefore have to make different choices. let’s support each other, rather than comparing each other. great, thought-provoking read, especially for moms.